TriHealth is a system of physicians, hospitals and communities working together to help you live better. TriHealth is proud to be the Official Health Care Provider for the Bunbury Music Festival. All festival medics are critical care providers experienced in festival medical coverage. These medics are thoroughly vetted and insured by TriHealth. In addition to minor injury supplies, all medics are supplied with Advanced Life support equipment including cardiac drugs and automatic external defibrillators (AED). 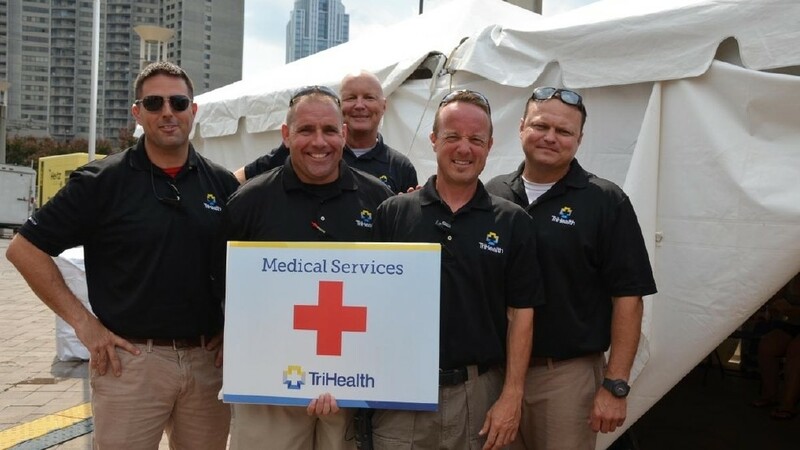 Set medics have a direct line to the TriHealth medical concierge as well as to all TriHealth emergency departments. At the air conditioned TriHealth First Aid Station you will find top notch fan care that includes; first aid services, sunscreen, emergency services and a Mommy Nursing Station. Within our Mommy Nursing Station you can enjoy the private, screened area to nurse, pump or change your child if needed. The TriHealth First Aid Station and Mommy Nursing Station are located at the center of the festival. Please watch for wayfinding signs pointing you in the right direction.